Congratulations for opting the Terna Medical College as your first step towards planning a Career in Medicine and securing your future. Terna Medical College is established in 1991, is recognized by Medical Council of India(MCI) and affiliated to Maharashtra University of Health Sciences (M.U.H.S.) Nashik. 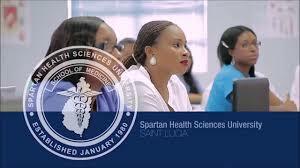 As a front line leader in the field of Medicine and our graduates are serving the society globally. From its earlier days Terna Medical College (TMC) has always aimed to achieve a reputation of excellence in health education. The course provides a very thorough basis in Health Sciences, Practitioner subjects, Research, Professional and Clinical Practice skills. Our purpose is not just to offer best training courses, but also to help you to make a succussesful Doctor; we believe you will only become competent in any field by learning from others devoted to high standards. From your initial contact and through every class you attend, you will find that we want the best for you which includes High Academic Achievements, Enjoyable Learning and Caring about people. 14. 4 Passport size Photographs. Note :- 1- No admission will be done in absence of any applicable required certificate . 2- Eligibility fee for the University to be paid later. * The fee prescribed above is subject to change by Shikshan Shulk Samiti. If so the students will have to pay the difference of fees fixed by Shikshan Shulk Samiti. Passed 12th in 2013 roll no 4664896, qualified NEET with all India rank around 1 lac. Marks in 12th 307/500 seeking admission in MBBS Govt./private colleges, can not afford more than Rs.3 lac per year. Category is general. suggest govt./pvt colleges in India. Terna Medical College, Mumbai was set up in the year 1991. The institute is recognized by Medical Council of India, New Delhi (MCI) and is belongs to Maharashtra University of Health Science (MUHS) ,Nashik. The institute has always aimed to achieve a reputation of excellence in health education. The course provides a very thorough basis in Health Sciences, Practitioner subjects, Research, Professional and Clinical Practice skills. Our purpose is not just to offer best training courses, but also to help you to make a successful Doctor; we believe you will only become competent in any field by learning from others devoted to high standards. From your initial contact and through every class you attend, you will find that we want the best for you which include High Academic Achievements, Enjoyable Learning and Caring about people. The institute we recognize that everyone has different needs, circumstances and ambitions so we aim to make your study as attractive, flexible and rewarding as possible. Whichever course you choose to study at this institute, we can assure you a rewarding lifetime carter as well as the opportunity to establish new friendship. For admission to TMCH the candidate should have passed in the subjects of Physics, Chemistry, Biology and English individually and must have obtained at least 50 percent marks in Physics, Chemistry, and Biology taken together in the qualifying examination i.e., 10 + 2 /HSC or equivalent. Student need to appear in all India medical entrance exam or Common Entrance Test (CET) to get admission in Bachelor in Dental Surgery Course. Candidate should be 12th pass in PCB with 50% marks. ASSO – CET (as per the guidelines of the Association of Management of Unaided Private Medical and Dental Colleges, Maharashtra) is conducted for admission to this UG program. Admission Forms For Terna Medical College, admission in mbbs in Terna medical college Nerul, admission in Mumbai, admission in Nerul, admission in Nerul Maharashtra, admission in terna medical college, admission in Terna medical college by NRI seat, admission in Terna medical college in mbbs, admission in Terna medical college in mbbs 2018, admission Terna medical college, admission Terna medical college 2018, admission Terna medical college Nerul, admission Terna medical college Nerul 2018, Admissions in Terna Medical college, Admissions in Terna Medical college 2018, Application Forms For MBBS Terna Medical College 2018, Application Forms For MBBS Terna Medical College2018-19, authorized career consultant in Nerul, authorized career consultant in Nerul 2018, authorized consultant for Terna Medical college Mumbai, authorized consultant for Terna Medical college Mumbai 2018, authorized consultant for Terna Medical College Nerul, authorized consultant for Terna Medical College Nerul Maharashtra, authorized Terna consultant in Nerul Maharashtra, authorized Terna Medical college consultant in Mumbai, BDS admission in Nerul, BDS admission in Nerul Maharashtra, book seat for 2018 batch in Terna Medical college for mbbs, book seat for 2018- 18 batch in Terna medical college for mbbs, career consultancy firm in Nerul, career consultant for mbbs in Terna medical college, career consultant in Nerul, cheapest admissions in Terna Medical college, contact for mbbs admission in terna medical college direct admission in mbbs in Terna medical college, direct admission in MBBS in Terna Medical college Mumbai, direct admission in mbbs in Terna medical college Nerul, direct admission in MBBS in Terna Medical College Nerul Maharashtra, direct admission in MBBS in Terna Medical College Nerul Maharashtra 2018, Direct Admission in Medical Colleges of Maharastra, direct admission in terna medical college, direct admission in Terna Medical college Mumbai, direct admission in Terna Medical College Nerul, direct admission in Terna Medical College Nerul Maharashtra, direct admission in Terna Medical College Nerul Maharashtra 9035924718, direct contact person for admission in mbbs Terna Medical college, Education Consultant for Terna Medical College . Get Direct admission in MBBS in Terna Medical College, genuine admission agent for Terna Medical college Mumbai, genuine admission agent for Terna medical college Nerul, genuine admission agent for Terna Medical College Nerul Maharashtra, guaranteed mbbs admission in Terna Medical college Mumbai, guaranteed mbbs admission in Terna medical college Nerul, guaranteed mbbs admission in Terna Medical College Nerul Maharashtra, is one of the largest organizations in the field of education in the state of Maharashtra. 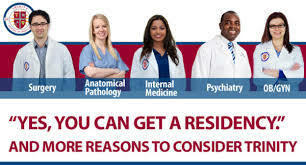 Terna Medical College Hospital and Research, low budget mbbs admission in Terna Medical college, managed by Terna Education Society, Management quota for MBBS -Terna Medical College Navi Mumbai, MBBS ADMISSION 2018 IN Terna MEDICAL COLLEGE NERUL, mbbs admission agent in Mumbai, mbbs admission agent in Nerul, mbbs admission agent in Nerul Maharashtra, MBBS Admission In Mumbai, mbbs admission in Nerul, mbbs admission in Nerul Maharashtra, MBBS ADMISSION IN TERNA MEDICAL COLLEGE, MBBS IN MAHARASTRA, mci recognized college in uttar pradesh, MEDICAL COLLEGE ADMISSION, MEDICAL EDUCATION IN MUMBAI, Mumbai, Mumbai medical college mci recognized medical college in Mumbai, Nerul, Nerul medical college mci recognized medical college in Nerul, on spot admission in Terna Medical college, Online Form For Admission in Ruhelkhand Medical College, Online Form For Admission in Terna Medical College, Online Form For Admission in Terna Medical College Nerul, ranking of Terna medical college Nerul, reliable admission agent for mbbs Terna Medical college Mumbai, reliable admission agent for mbbs Terna medical college Nerul, reliable admission agent for mbbs Terna Medical College Nerul Maharashtra, reliable consultant for mbbs Terna Medical college, Santosh medical college, SARASWATI MEDICAL COLLEGE, Searches related to Terna medical college, Searches related to Terna medical college Nerul, Terna, Terna Admissions in MBBS, Terna college, TERNA college code, TERNA college full form, TERNA college full name, Terna college Nerul, TERNA college Nerul 1995, TERNA college Nerul fee structure, TERNA college Nerul mba, TERNA college of management Nerul, Terna college of medicine Nerul Nerul, TERNA college of nursing, TERNA college of nursing Nerul, TERNA college of pharmacy, TERNA college of technology and research, TERNA college pharmacy Nerul, TERNA consultancy firm in Nerul Maharashtra, TERNA consultant, TERNA consultant for mbbs in Terna Medical College, TERNA consultant in Nerul Maharashtra, TERNA dental college, TERNA dental college & research centre, Terna dental college mumbai, Terna dental college Nerul, TERNA dental college Nerul Maharashtra, Terna engineering college Nerul, Terna GROUP OF INSTITUTIONS, TERNA homeopathic medical college Nerul, Terna hospital Nerul, Terna mbbs admission, terna medical college, Terna medical college admission, Terna Medical College Admission 2018, Terna Medical college consultancy firm in Mumbai, Terna Medical college consultant for mbbs in Terna Medical college, Terna Medical college consultant in Mumbai, Terna medical college entrance exam, Terna medical college entrance exam 2018, terna medical college fee structure, TERNA MEDICAL COLLEGE HOSPITAL AND RESEARCH CENTER, Terna Medical college Mumbai, Terna medical college mumbai adess, Terna medical college mumbai contact number, Terna medical college mumbai entrance exam 2018, Terna medical college mumbai fee structure, Terna medical college Nerul, Terna medical college Nerul adess, Terna medical college Nerul admission, Terna medical college Nerul admission 2018, Terna medical college Nerul aicet result, Terna medical college Nerul application form, Terna medical college Nerul entrance exam, Terna medical college Nerul fee structure, Terna medical college Nerul fee structure for mbbs, Terna medical college Nerul fees, Terna medical college Nerul hostel, Terna medical college Nerul maharashtra, Terna medical college Nerul Nerul, Terna medical college Nerul official website, Terna medical college Nerul ranking, Terna medical college Nerul results, Terna medical college Nerul reviews, Terna medical college nerul Terna medical college fee structure, TERNA medical college Nerul website, Terna medical college results, Terna medical college through management quota, Terna mumbai, Terna Nerul, TERNA Nerul Maharashtra, Terna Nerul Nerul, Terna university, Terna university medical college, Terna university nerul, Terna Vidyapeeth.